An outbreak of measles, which is causing a full-blown public health emergency in the Pacific Northwest, is a wake-up call to states like Massachusetts that have seen a worrying rise in vaccine rejection. The Commonwealth’s numbers are headed in the wrong direction, and it shouldn’t take a crisis here to tighten the rules that have allowed too many parents in Massachusetts to skip shots for their kids and thereby endanger the entire community. Washington State has reported 50 confirmed cases, and roughly 30 more have been recorded in nine other states since the start of the year. Measles is a serious, highly contagious disease that can cause brain damage and, in about 1 in 1,000 cases, death. The root cause is the growing number of parents who refuse to vaccinate their children against measles, mumps, rubella, polio, and other contagious diseases. 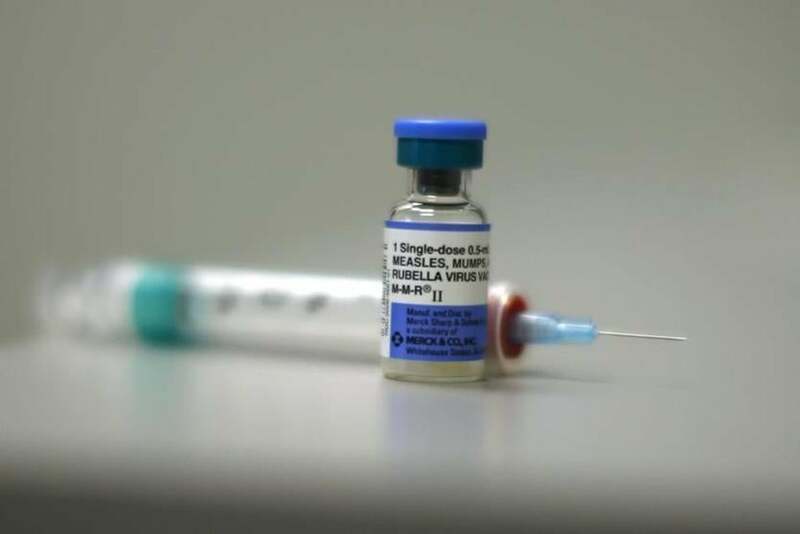 The vaccine rejection movement has become so dangerous that the World Health Organization included it in its top 10 threats to global health in 2019. It’s no surprise that the outbreak took root in Washington, one of 17 states with permissive laws that grant exemptions on the basis of personal or philosophical beliefs, according to the National Conference of State Legislatures. Massachusetts doesn’t have such a loophole, thankfully — though as recently as 2015 the Legislature had to beat back a misguided attempt by state Senator Joan Lovely to create one. And statewide it has a 95 percent vaccination rate — one of the nation’s highest. But the Commonwealth does allow religious exemptions, and the number of parents who have claimed them has skyrocketed. In the 1987-88 school year, only about 0.18 percent of children in Massachusetts were unvaccinated for religious reasons. Last year, that figure had climbed to 1.08 percent. And the statewide number masks some alarming clusters of vaccine rejection. For instance, the Hartsbrook School in Hadley reported a 25 percent exemption rate for the 2017 school year. The Highland School in Westfield and the West Tisbury School on Martha’s Vineyard reported a 20 percent exemption rate. The state doesn’t break down types of exemption at the school level, but statewide, over three-quarters of all exemptions are religious, according to public health officials. Exemption rates that high are ominous because they threaten herd immunity — the community’s collective resistance to contagious disease — which is needed to protect the small number of children who can’t get shots for legitimate medical reasons. Parents who refuse to vaccinate kids aren’t just putting their own children in danger; they’re putting the vulnerable population that relies on herd immunity at deadly risk. The spike in religious exemptions — unconnected to any known shift in the state’s religious demographics — coupled with its particular geographic distribution raises the possibility that parents in the state’s crunchier precincts are just labeling their philosophical objections “religious” to get around the law. There’s little to stop them from doing so. Currently, the immunization law is so vague that the only thing a parent has to do to claim a religious exemption is to sign a form stating they have a sincere religious belief that doesn’t let them vaccinate their children. No interview, letter from a priest, or further documentation is needed. Other sociologists have found that parents who opt out of vaccination are more likely to favor organic and natural foods, and are motivated primarily by strong-held values of liberty and purity. This may explain why the standard messaging around vaccine education, which emphasizes public health, doesn’t break through. One option to reduce the rate of non-vaccination would be to simply abolish the religious exemption, following the lead of California, Mississippi, and West Virginia. After all, most safety laws don’t have one: There’s no religious exemption from the fire code or the seat-belt law. Or if, as seems likely, parents are blurring the line between personal and “religious” objections, the state could just make them much more laborious to claim. How about making parents show up for an in-person interview with health officials or religious experts to assess the validity and sincerity of their claim? Just putting in place some common-sense requirements for parents who want to claim a “religious” exemption from vaccines would be an improvement. Before parents are permitted to endanger the health of their whole community, the least that should be expected of them is to look someone in the eye and explain why.